Your picture is mounted on to a piece of genuine canvas and then stretched over a wooden frame to give a 2” deep canvas block. This gives a very contemporary look. A superb, stylish presentation which “floats” on the wall. 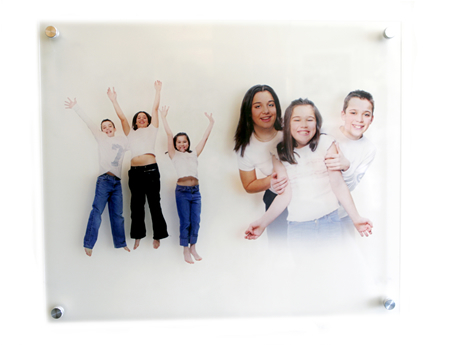 Your image is printed directly onto either a gloss or frosted acrylic. 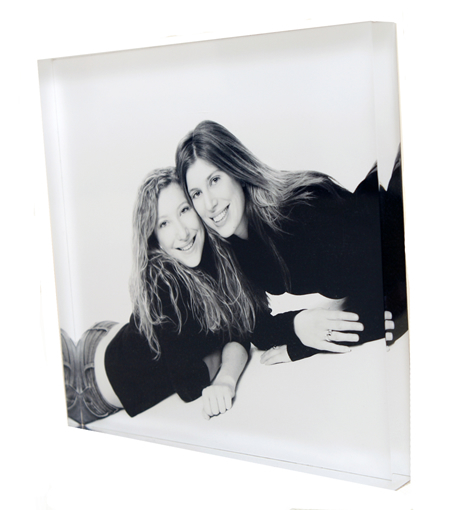 A solid 1” deep acrylic block giving your pictures a three dimensional feel. This can stand on an easel or straight on a shelf. 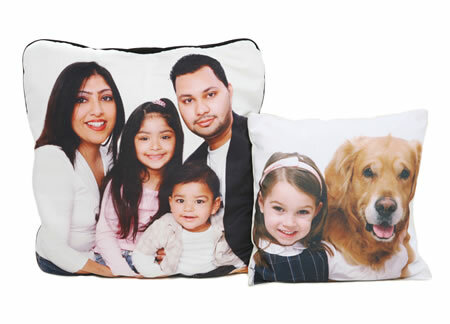 Brighten up your sofa with your favourite pictures on various sized cushions. 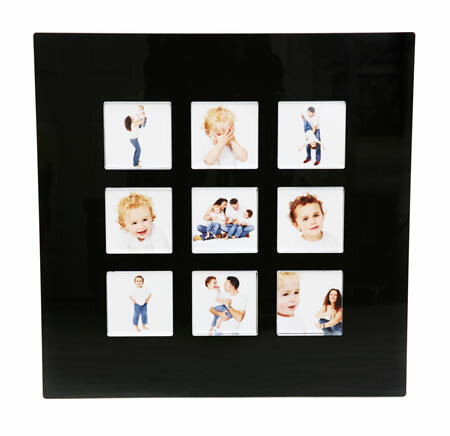 Similar to Fotoslot but the pictures are held behind a block of clear acrylic. Perfect if you are finding it hard to choose between your photographs. Holds up to 16 pictures to hang on the wall. 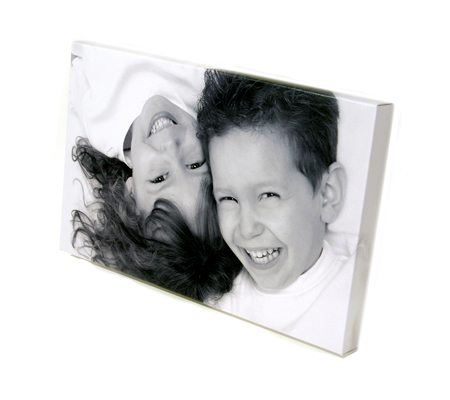 Photographs are either gloss or lustre heatsealed in order to protect the surface and thus dispense with the need for glass. 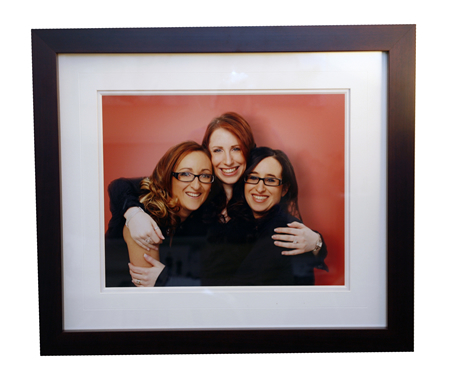 You can choose from a wide range of contemporary frames. Photographs are framed under glass with a single or multiple mount surrounding the picture giving a modern twist to this traditional method of framing. 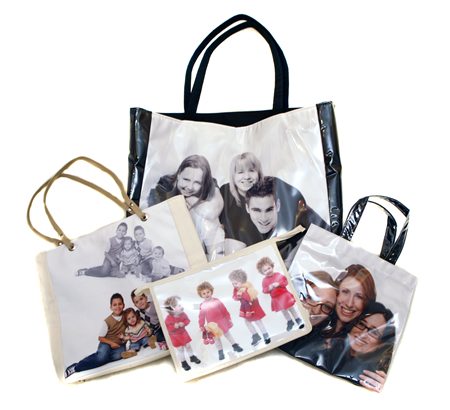 These trendy Photo Bags are a perfect companion to any present or for making an impression while on the move. 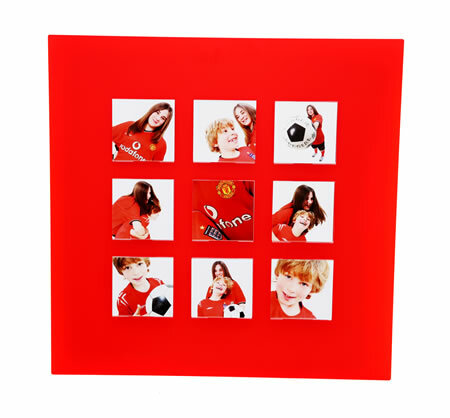 Hand-crafted albums with collections of different sizes, covers and styles.